Remember about the NIVEA launch that I've attended? I promised that I would share more good deals to my readers, because everyone is valuable to me. NIVEA is launching a photo contest called NIVEA Pure & Natural Cover Photo Contest on Facebook in order to create the awareness of the products and the benefits of the ingredients (such as Argan Oil, Chamomile, Aloe Vera, etc) in the product. Guess what, there will be a grand cash prize up to RM6,000 and NIVEA Pure & Natural products to be won! The contest actually starts from 3rd of January, 2013, 12.00am to 28th February, 2013, 11.59pm. 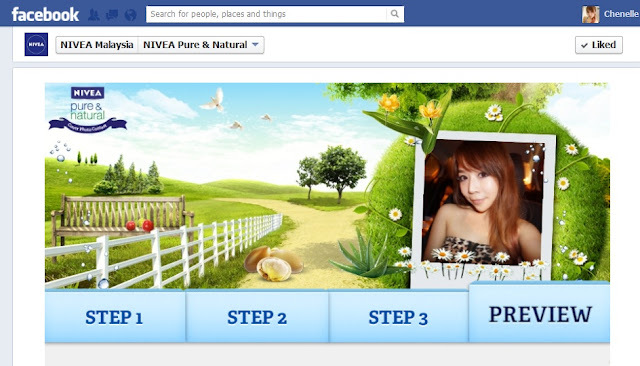 First, Like NIVEA fans page! You will be given RM3 voucher upon liking their fans page! Sounds good? 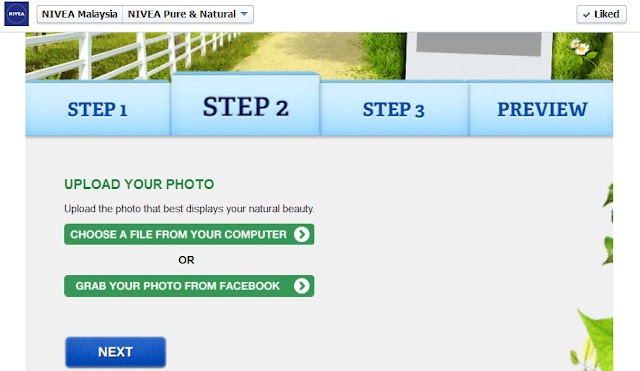 Then, enter the contest link by clicking the link. 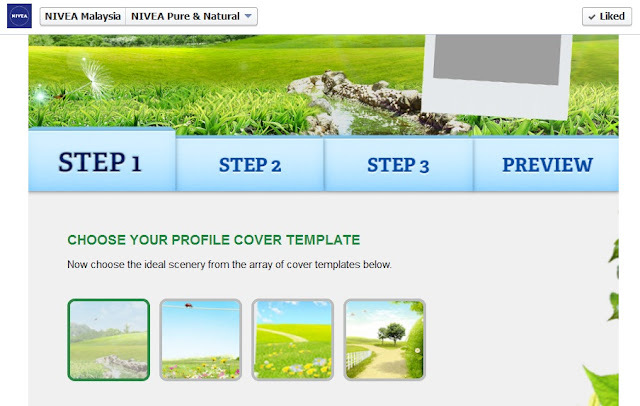 Select the cover photo template for your design. Select your own photo and upload. 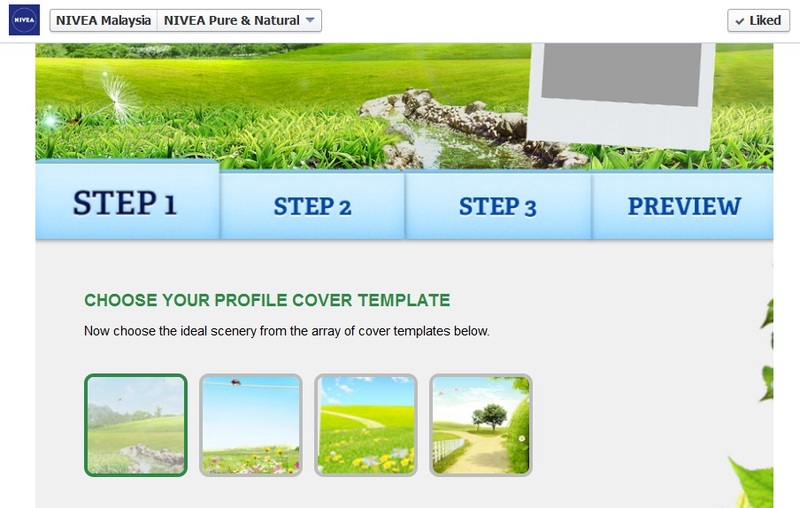 Customize your own cover photo template and add decorations that are product-related. For example, Argan Oil, Aloe Vera, Chamomile, Jojoba, Leaf, Water. 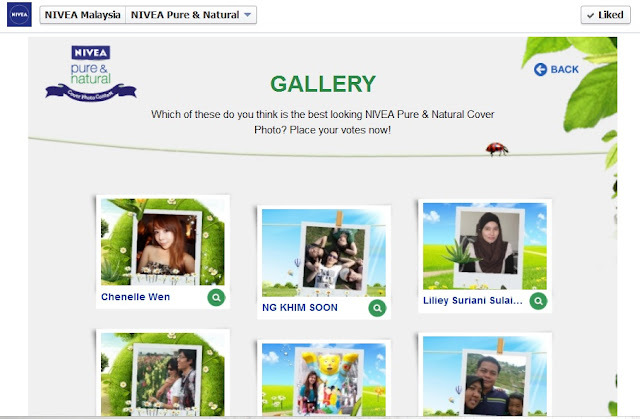 I also took part in the contest, and my cover photo template looks like this! 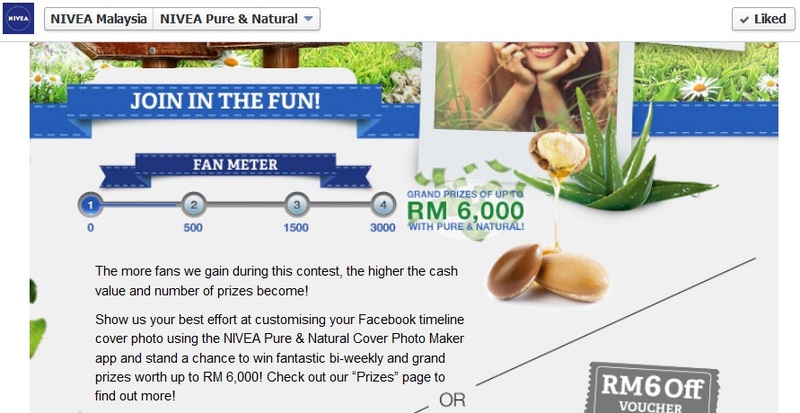 Oh yeah, you can redeem upgraded RM6 voucher upon participating in the NIVEA Pure & Natural contest. The higher the number of fans during the contest, the higher the number of cash values and prizes!